Reach for More - Aspira a más: Latina Book Giveaway! 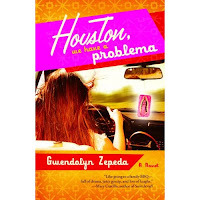 I’ve just read Houston, We Have a Problema by Gwendolyn Zepeda. This novel was a light-hearted look in to the life of a sassy, young Latina who makes her way through family, work, and love dilemmas. Sprinkled into the story are matters of identity, expectations, culture, and stereotypes, all of which seem to affect the main character’s ability to make sound decisions for herself. This chick lit book is apparently Zepeda’s first novel. It moved quickly and was a fun read. The main character, Jessica Luna, is a girly-girl who embraces her curves and is proud of who she is. It was entertaining to join Jess during her frequent visits to her psychic, Madame Hortensia. Equally amusing and encouraging are Jess' constant efforts to get what she wants. Thanks to Literanista, for inviting me to read this book. Be sure to visit her site! Now, I’ve been given the opportunity to offer a free book giveaway to my readers. Five copies of Houston, We Have a Problema are available, courtesy of Hachette Book Group USA. Please leave a comment to this post by Wednesday, December 10. The first five folks to do so win a book! In your post, tell me you'd like a copy of the book AND share your thoughts (if any) on the terms Hispanic and Latina. You must live in the United States or Canada. No P.O. boxes, please. more rambling than insight, I suppose, but those are my two cents. After having read your synopsis of the book, I would love to read about Jessica's adventures as a latina with identity and culture crisis and compare them with mine as I was growing up here in NJ in a predominant polish neighborhood. Thank God for exposure, education and maturity I can truly define myself as a "curvascious" proud Latina. After reading the book I would love to pass it on to my daughter who is still having problems dealing with being Latina. Hi, Thanks for having this contest. It is always a good read when someone recommends it and offers you their thoughts on the book and author. 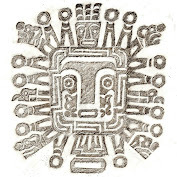 I am a fan of Laura Esquivel and the works of her husband. If there are other books you can recommend for kids under the age of 13, that would be greatly appreciated. Laura - great idea! I'll work on a list for kids and post it soon. Please send me your address so we can send you a copy of "Houston" - thanks!